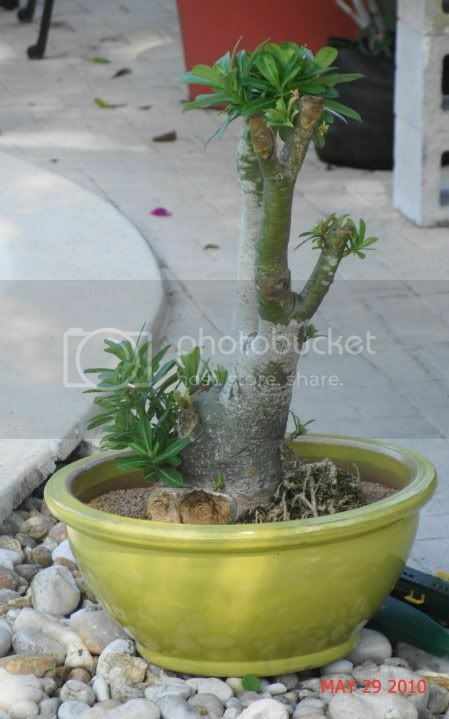 Has anyone here tried growing Adenium obesum? 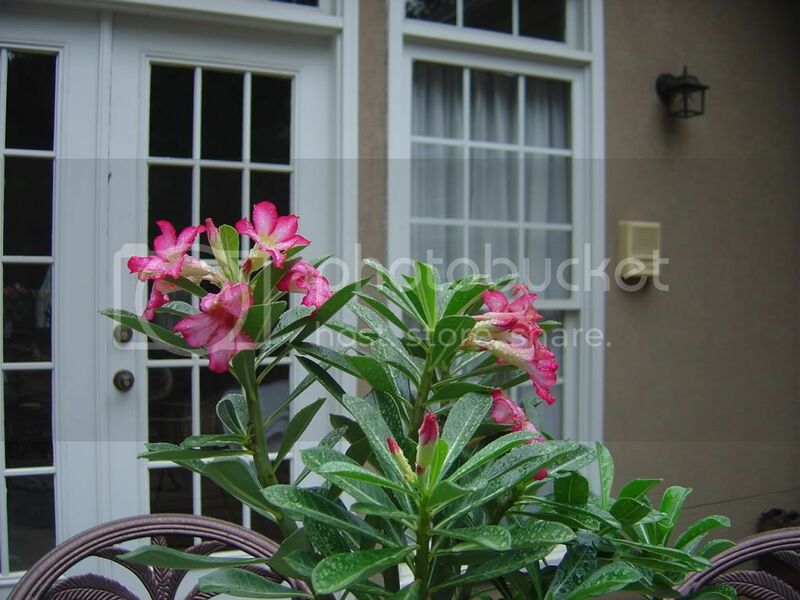 I find this plant really fascinating and am interested in trying it as a Bonsai subject. I'm looking for plants, seeds and also some input on propagation. Any information would be really appreciated. Actually I did get one and it's doing pretty well except for a brief bout I had with mealy bugs which distorted a few of the leaves. It's under control now. Adeniums make for great Bonsai. I acquired 3 very large (5' tall) and old ones last year. Regrettably, they did not do so well during the unusually cold South Florida January. I had no room in the house for them, so they stayed outside. As an experiment, I cut one of them down severely, leaving only a large trunk with several thick branches. This was mid April. See the pic below, taken 5/29. I think this has the makings of a killer sumo Bonsai! Here is mine, i didn't know the name untill someone told me it is "Harry Potter"
My surviving seedling from lasted year.